A group of UK lawmakers are calling for an independent inquiry into the Home Office’s treatment of tens of thousands of foreign nationals, mostly students, whose visas were revoked or refused after they were accused of cheating on an English language test in 2014. Speaking in a debate at Westminster, Labour MP Wes Streeting described the issue as “Britain’s forgotten immigration scandal” and accused the government of acting in an “unlawful way” by ordering those affected to leave the country without any chance to retake the test, access the evidence against them, or appeal the decision from within the UK. Streeting said that the issue was a “global embarrassment to our country” and likely to have a significant, negative impact on the reputation of the UK abroad, most notably in India, Bangladesh and Pakistan, the home countries of many of the accused. Several lawmakers described the issue as a scandal on the scale of — or even larger — than the Windrush case, which erupted this year after it was revealed that some British citizens who arrived in the UK in the post-war years from Commonwealth countries were being wrongly detained and deported. 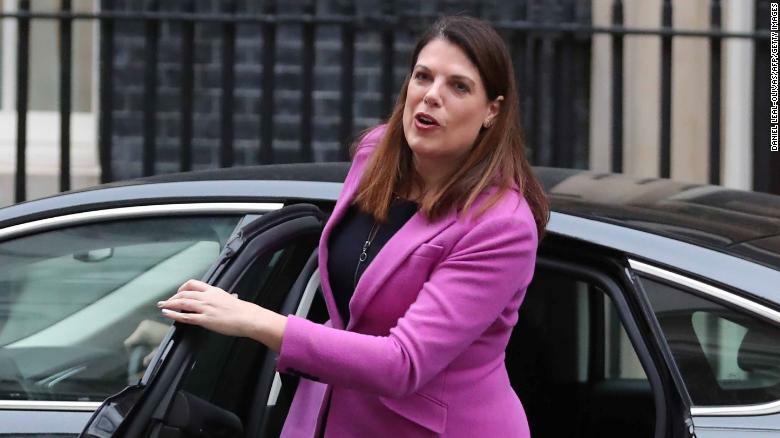 Photo: Immigration minister Caroline Nokes arrives at 10 Downing Street in January. In the first two years after the accusations emerged, the UK Home Office revoked or refused more than 28,000 visas and deported more than 4,600 people on the basis of the claims, according to a 2016 report by the parliamentary Home Affairs Committee, a cross-party group of members of Parliament who scrutinize the department’s policies. Hundreds of the accused — many in the UK and others in their home countries — are still embroiled in legal battles, through which they hope to clear their names. “I regret that innocent applicants may have been caught up in widespread fraud,” she said, adding in response to a question from a lawmaker that no compensation had been offered to those who had won their cases and cleared their names, despite the years-long legal process they had undergone. Kazi Ruhullah, one of the foreign nationals accused of cheating in 2014, is fighting his case in the courts and says his life “has been torn apart” by the allegation. He hasn’t seen his fiancee in Bangladesh for four years, but says he cannot return to his country while the allegation still stands. “I would never cheat, I respect the rules,” he said. After watching the debate Tuesday, Kazi says that he still has hope that his case — and those of thousands of others — can still be resolved, but that he heard nothing from Nokes that suggested the Home Office would alter its position soon. “No impact has been seen in her heart,” he said. “We have been asking: all this injustice is happening, where are the MPs?” Ramadan said.